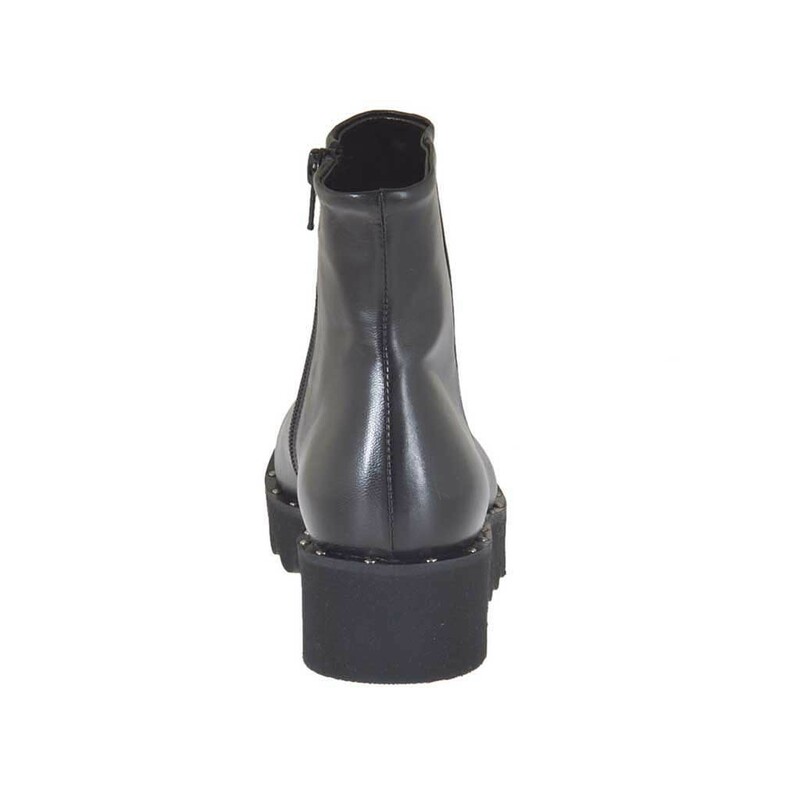 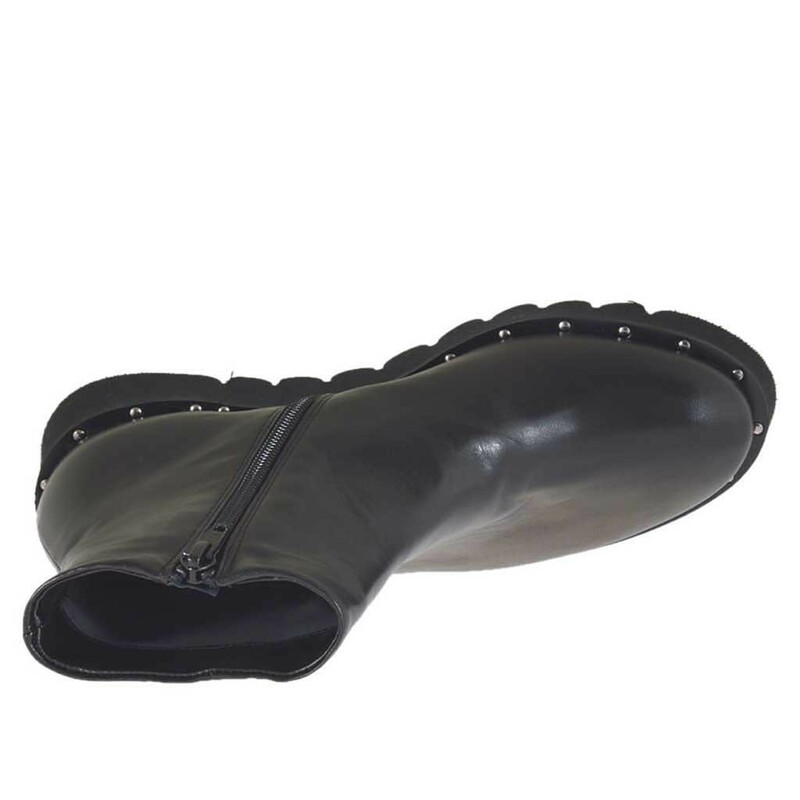 Woman's ankle boot with zipper and studs, 4 cm. 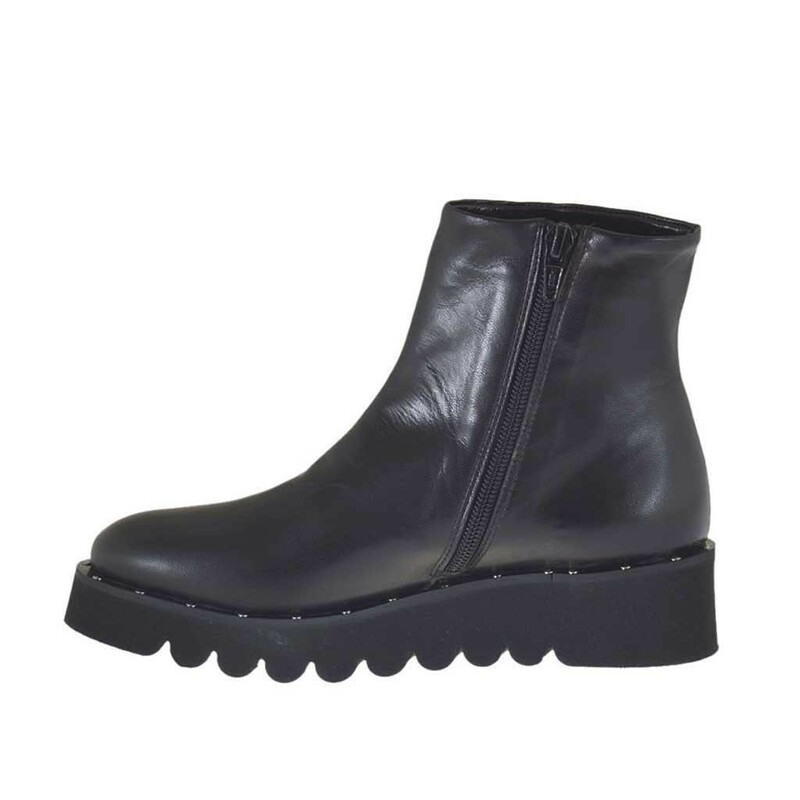 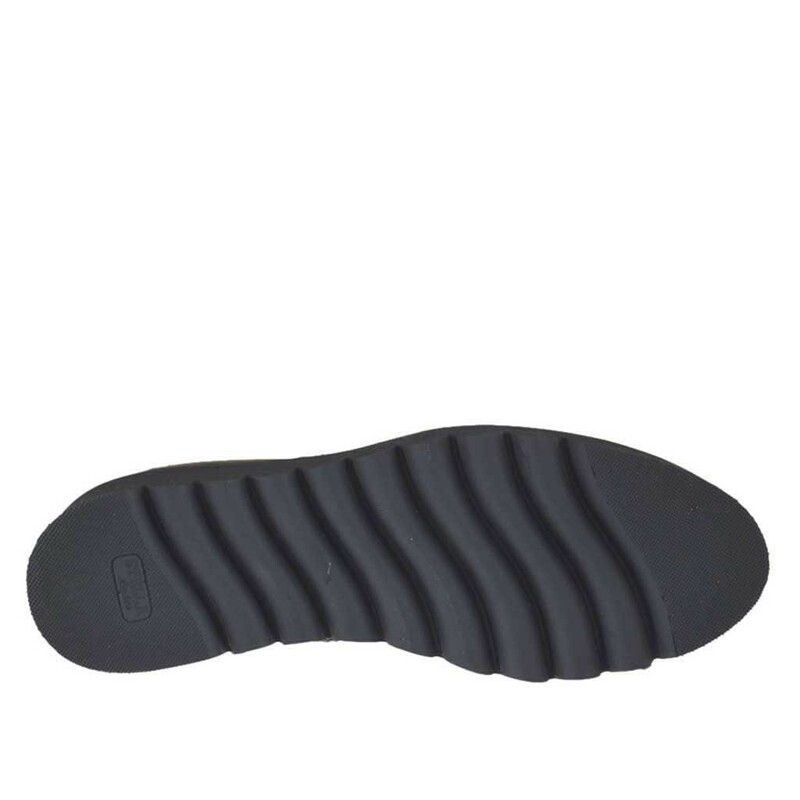 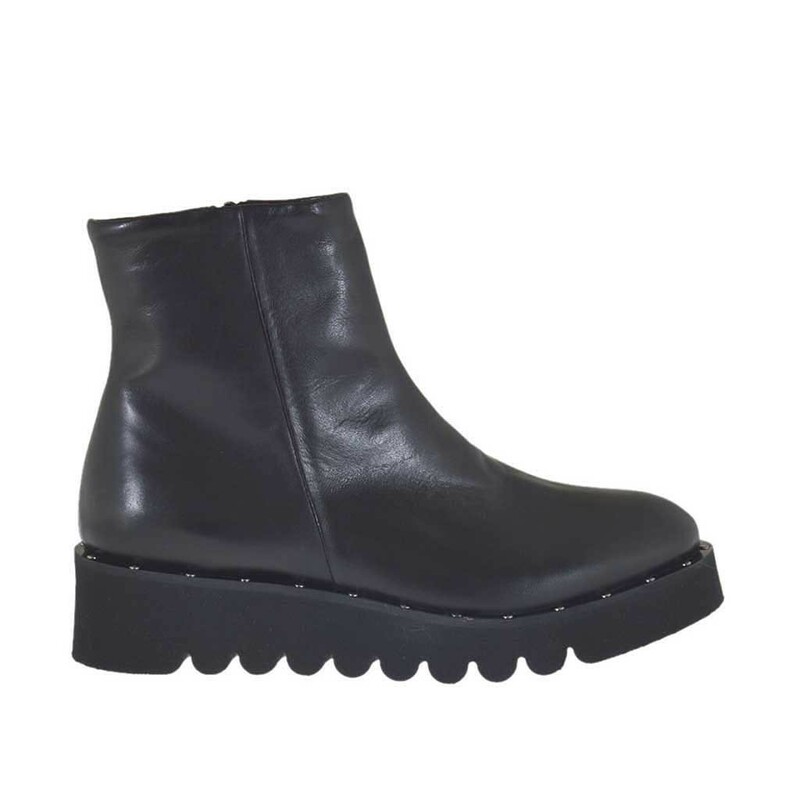 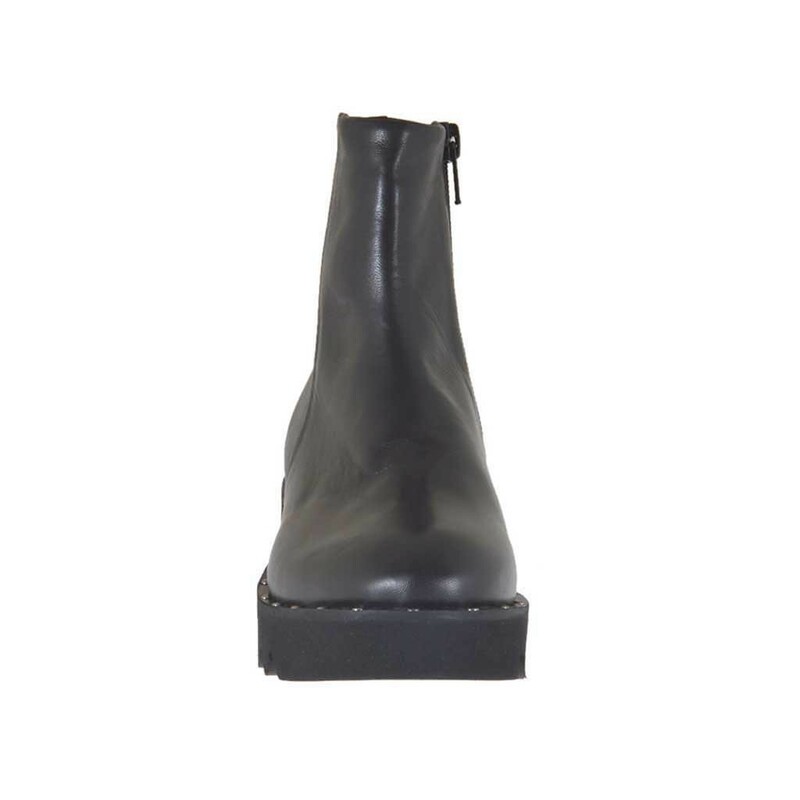 high wedge, in black leather, leather lining, rubber sole. Available in small sizes and large sizes.